Cuango River. See Coje Ya Menia. Cuanza River. See Coje Ya Menia. Kasai River. See Chipekwe, Lipata. Lake Tanganyika. 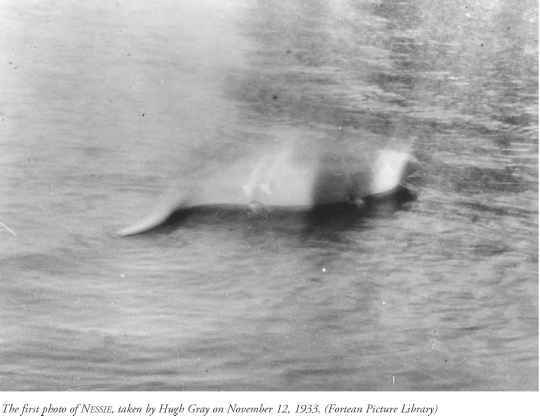 In early 1914, M. V. Thierfelder was on the shore at Rumonge when he saw a large, brown, serpentine animal swimming with vertical undulations. It had six body loops, each 9 feet in diameter and 15 feet in length, and two small fins below its head. Its length was estimated as 111-168 feet. O. Strack, "Auch in Tan-ganyikasee soll eine 'Nessie' leben!" Das Tier, no. 9 (September 1963): 24. Lake Barombi Mbo. In 1948 or 1949, two long-necked animals were seen in the middle of the lake by some local children and British soldiers. one, apparently the male, had a downward-pointing, spiny horn. Philip Averbuck, "The Congo Water-Dragon," Pursuit, no. 55 (1981): 104-106. Boumba River. See Emela-Ntouka, Mokele-Mbembe. Cross River. See Mokele-Mbembe. Dja River. Long-necked animal with a head like a tortoise's and a body the size of an auto. Gaston Grandclement, "Le monstre du Dja," Bulletin des Chasseurs du Cameroun, October 1947, p. 19. Loponji River. See Mokele-Mbembe. Mamfe Pool. See Mokele-Mbembe. Mbame River. See Mokele-Mbembe. Ngoko River. See Emela-Ntouka, Mokele-Mbembe. Ntem River. See Mokele-Mbembe. Sanaga River. See Mokele-Mbembe. Bamingui River. See Mourou-Ngou. Bangoran River. See Mourou-Ngou. Brouchouchou River. See Badigui. Gounda River. See Badigui. Gribingui River. See Mourou-Ngou. Iomba River. See Mourou-Ngou. Kotto River. See Mourou-Ngou. Koukourou River. See Mourou-Ngou. Mbari River. See Mourou-Ngou. Mbomou River. See Miga. Ouaka River. See Mourou-Ngou. Vovodo River. See Ngoroli. Chad Lake Chad. See Auli. Chari River. See Mourou-Ngou. Dagana Marshes. See Auli. Ounianga Lakes [Lake Yoan]. See Auli. Democratic Republic of the Congo Aruwimi River. See Nyama. Dilolo Swamps. See Chipekwe. Dungu River. See Mlga. Lake Edward. See Irizima. Ikelemba River. See Mokele-Mbembe. Lake Kisale. A snake that looks like a floating clay pot, known to the locals as Muntonkole. William F. P. Burton, Luba Religion and Magic in Custom and Belief (Tervuren, Belgium: Musée Royal de l'Afrique Centrale, 1961), p. 77. Lualaba River, lakes near. See Nzefu-Loï. Lukuga River. See Mamba Mutu. Maika Marshes. See Mahamba. Lake Tanganyika. See Mamba Mutu. Uele River. See Mlga. Lake Upemba. See Pumina. Lake Abaya Hayk'. A hippopotamus-sized animal. Maurice de Rothschild and Henri Neuville, "Sur un dent d'origine énigmatique," Archives de Zoologie Expérimentale et Générale, ser. 4, 7 (October 15, 1907): 333. Lake T'ana. See Auli. Ngounié River. See N'yamala. Ogooué River. See N'yamala. Gambia River. See Nink Nanka. Kikira River. See Dingonek. Mara River. See Dingonek. Migori River. See Dingonek. Lake Victoria. See Lukwata. Lake Nyasa. After a severe storm in 1905 in a bay north of Nkhata Bay, Hector Duff encoun tered a large animal with two humps. His Tonga (Bantu) guides told him it was called Dzimwé and was seen during storms. Later, a steamer captain convinced him he had seen a dead hippo, bloated with putrefaction. An unknown animal that resembles a giant python and another with the head of a zebra and the tail of a fish have also been reported. Hector L. Duff, African Small Chop (London: Hodder and Stoughton, 1932), pp. 158—164; Bernard Heuvelmans, Les derniers dragons d'Afrique (Paris: Plon, 1978), pp. 215-218, 372-373. Niger Delta. See Mami Water. Bai River. See Mokele-Mbembe. Likouala aux Herbes River. See Mbielu-Mbielu-Mbielu, Mokele-Mbembe, Ndendeki. Lake Makele. See Mokele-Mbembe. Motaba River. See Nguma-Monene. Sangha River. See Mokele-Mbembe. Lake Tebeki. See Mokele-Mbembe. Lake Télé. See Mokele-Mbembe. Ubangi River. See Mokele-Mbembe. Howick Falls, KwaZulu-Natal Province. See Inkanyamba. Mfolozi River, KwaZulu-Natal Province. See Silwane Manzi. Mkomazi River, KwaZulu-Natal Province. See Inkanyamba. Mzintlava River, Eastern Cape Province. See Mamlambo. Ngwempisi River, Mpumalanga Province. A 70-foot animal, thick as a man, was seen in June 1950. "No Such Animal," Doubt, no. 30 (1950): 37.
orange River, Eastern Cape and Northern Cape Provinces. See GrooT Slang. umgeni River, KwaZulu-Natal Province. See Inkanyamba. Vaal River, Free State Province. See Groot Slang. Bahr al Ghazal. See Lau. Bahr al Jabal. See Lau. Bahr al Zeraf. See Lau. Mount Meru, lake near. Charles Stoneham came across crocodile-like tracks far from any river. Charles Stoneham, Africa All Over (London: Hutchinson, 1934), p. 276. Lake Tanganyika. See Chipekwe, Pamba. Lake Chilengwa, near Ndola. In 1900, William Kennelly heard stories of a terrifying snake monster called the Funkwe. C. P. Chesnaye, "A Journey from Fort Jameson to the Kafue River," Geographical Journal 17, no. 1 (1901): 42-48. Lake Ishiku, near Ndola. A snake monster. Tom Dobney, "Myths and Monsters," Horizon (Harere) 6 (September 1964): 24-26. Kafue River. A 50-foot monster called Itoshi, with a crocodile's body, a man's head, and fins like a fish. Edwin W. Smith and Andrew Murray Dale, The Ila-Speaking Peoples of Northern Rhodesia (London: Macmillan, 1920), vol. 1, p. 120, and vol. 2, pp. 128-129. Lake Kashiba. A monster reported here, called Chitapo, eats people's shadows. Brian Siegel, "Water Spirits and Mermaids: The Copperbelt Case," paper presented at the Southeastern Regional Seminar in African Studies (SERSAS), April 14-15, 2000, Cullowhee, North Carolina, on line at http://www.ecu.edu/african/sersas/ Siegel400.htm. Luanshya River. A snake monster named Nsan-guni was held responsible for flooding and deaths during the development of the Roan Antelope Mine in the late 1920s. Clement M. Doke, Lamba Folk-Lore (New York: American Folk-Lore Society, 1927), p. 324; F. Spearpoint, "The African Native and the Rhodesian Copper Mines," Journal of the Royal Africa Society (supplement) 36 (July 1937): 3-8; Kathaleen Stevens Rukavina, Jungle Pathfinder (New York: Exposition Press, 1951), pp. 233-244. Luapula River. See Chipekwe. Lukulu River. See Chipekwe. Lake Mweru. See Chipekwe. Lake Shiwa Ngandu. See Chipekwe. Zambezi River. See Isiququmadevu. Lake Kariba. A lake spirit called Nyaminyami by the Tonga, with a snake's body and fish's head, was held responsible for mishaps during the construction of the Kariba Dam in 1957 and 1958. Frank Clements, Kariba: The Struggle with the River God (New York: G. P. Putnam's Sons, 1959); Nyaminyami: The Zambezi River Spirit, http://www.zambezi.com/nyami.html. Which dam have inkanyamba at KZN? How to be mamlambo or be a member of the mamlombo secrect group?